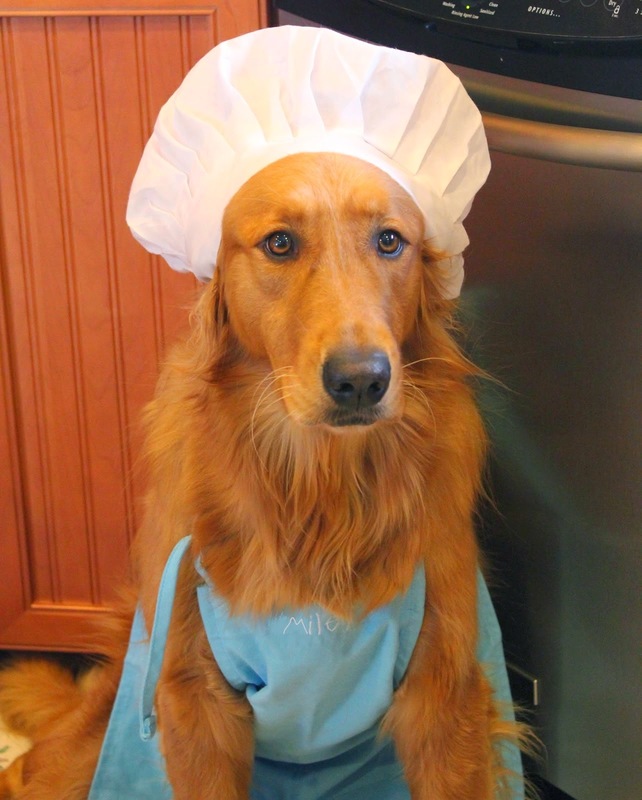 This weeks "In the Kitchen with Miley" we are sharing a recipe for one of our guilty pleasures... Cheesy Fries!!! Combine wet ingredients, add in wet to form dough. Cut into thin fry shapes, approx. 5 inches long. As with all our treats, Mom stores them in the freezer and treats us on occasion!!! That first picture had me laughing, and that recipe looks easy and yummy! I will definitely have to try making it for the collies! thanks! Love the chef hat! My pyrs will definitely love these. I'll have to give them a try. Thanks for the recipe! 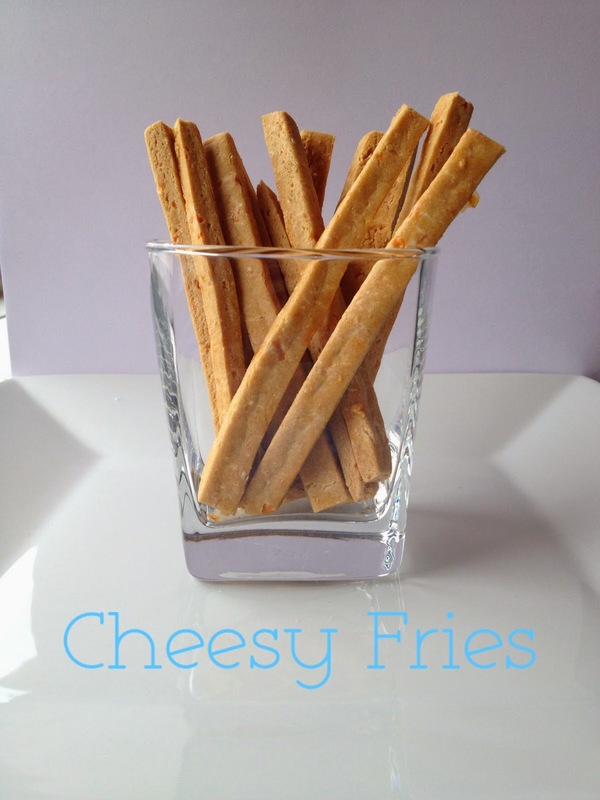 We call them cheese sticks over here and they are one of our favourites. YUMMY! Have a terrific tasty Tuesday. Sounds delish. Love the pic. You had me at cheese . . .